On the surface of it, why would any business encourage their expensive and hard fought clients to test the competition’s products and services. Why would a business encourage their clients to potentially leave? Why would a business owner put their company under a microscope and be compared to their competition? The simple answer is that the business provides the best products and superior service. They provide quality leads, have reasonable business policies, provide superior service, all at a price that provides a higher ROI to the client. A business with a long term time horizon should want their clients to see the value they provide first hand, so their clients continue to do business with them and potentially stay forever. If as a lead company you don’t do this, your client will always have a notion in their head that they might be better off using another service or company to get a better product at a lower price and with a higher level of service and performance. They will inevitably follow this “grass is greener” whimsy and use any excuse to leave and go someplace else in order to test that notion. Anyone who has gone to a formal business school or the school of hard knocks will tell you to lock in your clients, create multiple barriers to exit and create financial disincentives for your clients to leave your company. The more that are there, the less likely they will be to discontinue using your products. Many lead companies do this, they will get the client in the door with a hard to refuse promotion and then have a large setup fee, require a term contract, have a large minimum purchase requirement and even a termination fee to get the best pricing and more. Unfortunately, in many cases, lead companies push the boundaries of business common sense and will prey on small unsophisticated companies desperate to improve their business. The lead companies will require these commitments from first time lead buyers, who in many cases are bound to fail because they don’t have the structure in place to be successful. Rather than pushing the boundaries into unprofitable realms, lead companies, regardless of the vertical or industry,should encourage their clients to try out the competition. When they do, they should also recommend that they use a CRM and/or warm transfer service that will ensure that the leads are worked in an objective manner with a major side benefit of making the client more efficient. The leads need to be called immediately upon receipt, they should be worked with similar scripts and be called or emailed a similar number of times. A 3rd party will be best able to do this and provide the business with objective results which will enable it to determine an ROI for each of the leads vendors. A lead company that stands behind the quality and value they provide should not be afraid of such an evaluation, they should encourage it and encourage the business owner to do it in a way that will be objective through the use of a third party. 1. 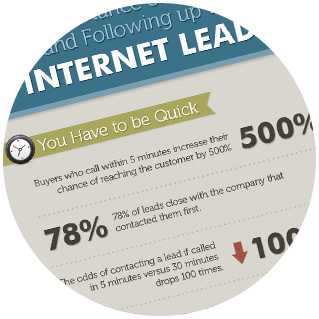 Contact rate or the percentage of leads they are able to reach via email, phone or another method. Initial contact rates are in the range of 15% to 35% but with nurturing over time can grow to 35% to 60%. 3. Close Rate or the percentage of leads that actually convert to a sale. This can range from 10% to 50% and is highly dependent on the skills of the sales person engaged with the customer. 4. Bad Lead Rate or percentage of leads that have a bad number, say they never wanted a quote or proposal and say they are on the DNC list. Historically this ranges from 15% to 40% bad lead experience with an average rate of 25% depending on the company providing the leads. Lead companies should also encourage their clients to report back their results. These reports, especially when they use an objective warm transfer service and CRM, will enable it to benchmark themselves against their competition to enable it to improve the quality of the products they provide. Without these comparative assessments it’s impossible to know how they stack up against their competition beyond simple comparison of promotional offers. This feedback, if used properly, can help lead companies cement their client relationships to even higher levels. Lead companies focused on quality should not be afraid of their competition. They should be easy to do business with, provide flexible business terms, provide a strong tangible value and recommend that their clients work with multiple lead providers. All to provide the most business to the one with the highest ROI: yours!. The open enrollment period for the Federal health care program or Obamacare is only weeks away and will present numerous challenges for the health insurance lead ecosystem and the entire lead generation industry as a whole. While this open enrollment is technically the second ‘open enrollment’ period, it will be more massive and impactful than the first since there is greater awareness, the penalties for failing to sign-up for health insurance are much greater, and many of the exemptions or exceptions will have expired. As a result, the lead industry must watch closely what happens and plan to position itself to either take advantage of the open enrollment or work towards minimizing the impact. For those consumers that are already on ObamaCare or have health care through their employer, they may be reluctant to make large ticket purchases until they know what their premiums and subsidies will be. This uncertainty is due to two reasons. One is that early indications have predicted that premiums may increase due to a large amount of unenrolled young adults. On top of the increases in overall costs, the second reason is that the minimum coverage required by businesses will be at a higher level of coverage than what they have provided in the past. Meaning employees may need to pick up the slack and pay more for their health insurance. This uncertainty will impact not only the health insurance industry but all lead generation activities online as consumers will want to better understand their financial situation before making purchase decisions on cars, houses, insurance or any of the other ‘big ticket’ items. The uneasiness makes it even more vital that lead companies, especially health insurance lead companies, focus on quality and their use of services that provide lead warm transfers, so that they will be better able to connect with customers and help their customers resolve these challenges. There is much uncertainty about whether businesses that provide health coverage in firms with less than 50 employees will continue. There is a good likelihood that businesses with under 50 employees will be reducing or completely eliminating the coverage they provide. The government’s mandated insurance levels may force business owners to re-evaluate whether they continue providing health care to their employees and at what level of benefit. Businesses might find their only option is to push the additional costs to their employees or decide to end coverage altogether. Online companies will have to target both the employers and employees of these firms to offer better business rates and superior rates for employees that will be paying directly. These health insurance leads will be especially valuable as they could lead to getting business from the entire firm. Lead companies need to be aware that these health care decisions may delay other purchase decisions and in turn could impact 4th quarter sales. Many of the individuals who are on catastrophic plans, who are over 40, will have these plans eliminated. These individuals are used to paying a smaller monthly fee with very high deductibles. These are usually healthy individuals that also have savings or readily available access to credit. 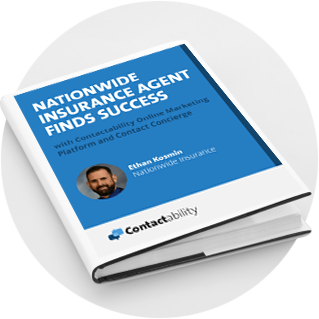 Lead companies will want to consider targeting these high value healthcare prospects in unique ways as they are extremely valuable to insurance companies. The changes in minimum coverage will mean that health insurance companies will place greater emphasis than ever on securing high value policyholders to balance out their portfolio. Pre-existing conditions are no longer an allowable reason for turning down policyholders and as such they will place greater value on health care leads with data that indicates the person has a history of being healthy. With the government ‘takeover’ of health insurance, it is extremely likely that they will seek to be more involved in the way health insurance is marketed and sold in the United States. Insurance companies, lead companies, insurance agents and brokers and other related services must be clear and concise in their advertising, free of deceptive claims or offers and contain full disclosures. Quality in the health insurance leads space is now more critical than ever. Information about individuals needs, medical conditions and finances are all at play. There is already a significant amount of regulation both at the Federal and at the State level of health insurance. It is critical that companies focus on the quality of the leads they are generating and handling them in a professional manner. Lead companies and insurance agents should consider using third party warm transfer services and other lead validation services to separate the good and bad leads that will inevitably be created in the fall with the potential uncertainty and confusion in the marketplace. Lead companies and lead users should also seek to ‘self’ regulate the industry so that it will be less likely that the government will police it and levy additional regulations and restrictions on the online industry as it relates to health care insurance. There will be unscrupulous companies who will seek to take advantage of peoples suspicion and uncertainty. These companies should be reported and pressured by the industry as a whole to discontinue inappropriate tactics that damage everyone. The health care law allows people to sign up for health insurance throughout the year under certain circumstances. Enrollment due to life changing events such as a death, marriage, birth of child, adoption, divorce, loss of job, aging out of eligibility on ones parents policy and other allowable circumstances. It is important for lead companies and people involved in selling health insurance that they fully understand the open enrollment exceptions and pre-qualify these leads through both the use of a completed data form and an insurance lead warm transfer service or other lead validation process. It is easy for people to forget that these exceptions exist and to focus on the mass open enrollment period, however these exceptions represent millions of subscribers every year and can have a dramatic impact on both lead companies and insurance companies long term success. The health insurance lead ecosystem will need to be proactive to survive the ongoing and ever changing healthcare environment. In many ways, they are at the mercy of the State and Federal governments and the policies that they decide to employ. Waiting and seeing what happens is not a strategy that will allow health insurance leads companies to survive and thrive. Consider the changing environment now and take steps to focus on quality, root out deceptive practices, emphasize disclosure and openness and you will be well on your way to surviving Obamacare.